Most automakers haven’t been impressing us so far at this year’s Chicago Auto Show (CAS). Apart from re-revealing concept models already shown in Detroit–and serving a fair amount of drinks to help visitors stomach some of those concept models–auto brands aren’t offering much to ogle. In all honesty, we didn’t expect much from Hyundai, either. We had been preparing ourselves for a heavy emphasis on the innovative (some would say strange) Santa Cruz concept which debuted last month in Detroit, but that’s it. Boy had we underestimated what Hyundai had up its sleeve! At a press conference this morning at CAS, Hyundai revealed a thrilling next step in the ever-developing saga of the Veloster. 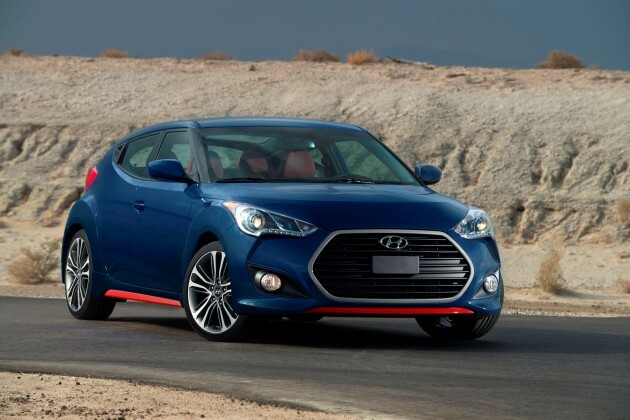 Prepare yourself for the performance version of the Veloster we’ve always dreamed of, the Turbo Rally Edition. 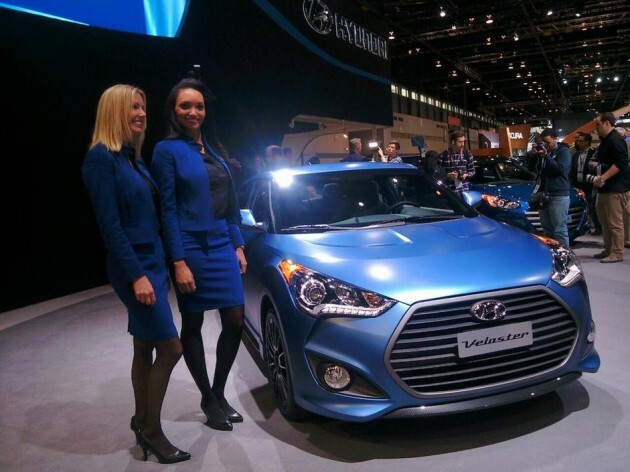 Forget the rest of the Chicago Auto Show,we’re fine staying right here…for the car, obviously. If the Rally Edition sounds as incredible to you as it does to us, you’d better act fast. Only 1,200 production units are planned for the special edition starting in May, with the only color option being Mattle Blue, and the only body option being a coupe. However, if you can only get your hands on the 2016 Turbo edition, never fear. There’s plenty of enhancements there too, like a seven-speed dual-clutch transmission, exclusive 18-inch machined-finish alloy wheel design, an electroluminescent gauge cluster, and wider tires. We also heard about the changes all Velosters will undergo for 2016, including a revised hood appearance without vent accents, a dark gray grille surround, and a new infotainment system. We admit that we had underestimated Hyundai, but after seeing what the brand revealed this morning, we’re glad it can still surprise us!